Not winning the Freddie Award is quite a bargain. The Freddie Award for Writing Excellence is awarded annually to the best unpublished, uncontracted and unagented mystery submitted to the Florida Chapter of Mystery Writers of America. 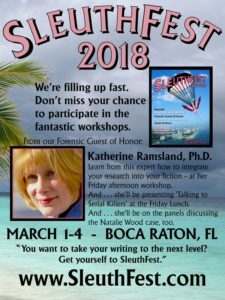 The winner gets free admission to Sleuthfest, the Florida MWA chapter’s annual conference, a nice plaque and possibly a chance to pitch the agent or editor who did the final judging. I didn’t win, but for my $30 entry fee, I got to submit the first twenty pages of my novel to be scored and commented on by three anonymous judges. That’s a lot of expertise for thirty bucks. Making use of it may prove a little challenging, though. By the grace of God, I opened the score sheet from Judge JM22 first. S/he had given me a 10 in every category. The downside: there were no further comments. (The score sheet tells the judges to “enter comments in each section – especially if you take off points.”) I knew it had to be downhill from there, but with one perfect 10, at least I hadn’t been cast into the outer darkness. Then the pain began. Judge JM21 gave me three 8s and two 6s. JM20 made it two 8s and three 6s. I parsed those comments up, down and sideways for a week. I re-read the manuscript. I whined, “But don’t you see…?” to invisible interlocutors. Then I sucked it up and started taking notes. I wrestled with the wide range of the ratings, until I saw that whatever rating box they checked, the judges agreed closely on the nature of the problems they spotted. Too much backstory. Check. Assignment: Pick what’s needed for immediate comprehension. Find locations farther in for what will become necessary later. But that turned out to be the lesser benefit from these comments. Working with them, I’ve seen a way to alter a subplot that will be much clearer, easier to explain and actually work better with my main plot. Too little emotional reaction from Eliza, my protagonist, over the dilemmas I have posed for her. Check. I am a prim, mimsy New England Puritan, and we don’t get upset in public. It’s rubbed off on Eliza. Assignment: make clear how much trouble she thinks she’s in, either in speech or privately in thought. Just be sure to convince the reader. Too little sense of place, early on. Check. However, there was enough place-ness for one judge to conclude, correctly, that I want the location to be a major player in the story. To make my word count, I cut a lot of description. Back it comes, and I’ll worry about cutting later. No murder or mystery evident. Sorry, judges, no check for this one. I’ll ramp up the expression of conflicts and emotions, but I like to watch my murders develop slowly, out of situations and characters that just cry out for them. All my favorite authors do, too. Maybe the best part of the whole exercise was the tone of the comments. They were frank, but nobody was snarky. When they liked something, they said so. The judge who gave me the lowest scores even attached a copy of my manuscript with quite a few comments inserted, some not even related to his/her remarks on the score sheet and the majority positive. S/he even gave me two happy faces for nice tidbits! I hope you find some of my specific comments helpful, but please remember, I am ONE reader, and others will see things differently. However, when you’re submitting to agents, they’re going to be looking for hiccups and issues with the craft and mechanics, so I am pointing some of them out as they jump out at me. Take what makes sense to you and ignore what doesn’t. Good advice of all of us. P.S. One judge downgraded my Mechanics because spell check showed “a few flagged words.” S/he and I must have different spell check programs. Mine was written by someone who learned English as a second language. On Mars.